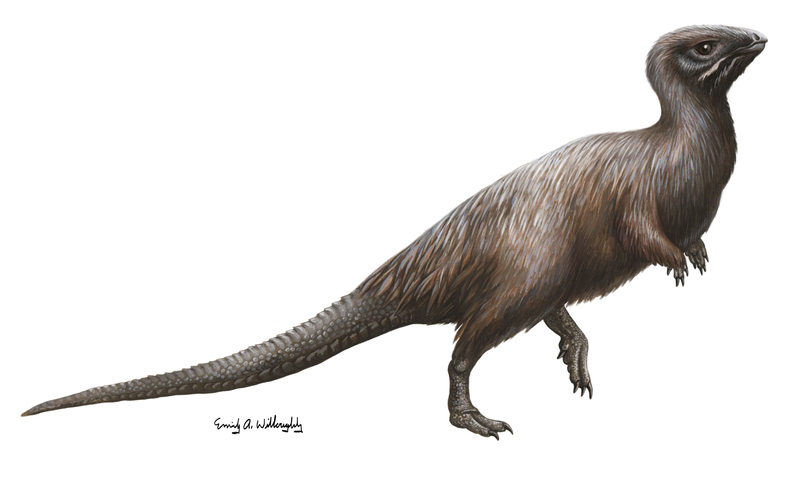 Kulindadromeus was a basal neornithischian dinosaur from the middle to late Jurassic of Russia. Its several specimens exhibit beautifully-preserved feather-like integument, indicating that in life, this animal was covered in several types of shaggy, filamentous feathers, including a branching type not unlike the stage 3 feathers known from theropods. 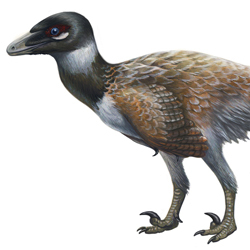 This beautiful little animal was a meter-and-a-half long bipedal runner that was probably on the menu of other, larger feathered dinosaurs. Kulindadromeus is important to our understanding of the evolution of feathers in dinosaurs because it's the clearest evidence we have yet that feather-like structures in non-theropod archosaurs are most probably homologous to those found in theropods, including birds, and that this means the origin of feathers may have been much further back in deep time than previously thought. 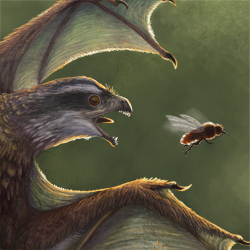 Along with Zanabazar and the standoff between Archaeopteryx and Aurornis, this illustration was recently published in the 7 December 2014 issue of Nature.